Middle. The simple word and its shorter form, mid, rarely conjure happy thoughts. Middle seat. Middle child. Midlife crisis. And, of course, there’s stuck in the middle. But in terms of our industry—in terms of chain scale—that mid space, the one between economy and upscale—is not such a bad spot to be. And that spot is only getting sweeter. 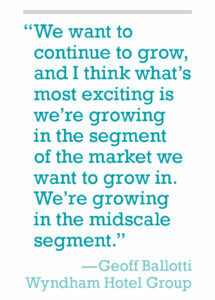 Just look at the research: By all accounts, and as reported earlier this year in our Industry Outlook (see the January 15th issue), midscale is in the spotlight and situated right in the center, yes…but at the front as well. And Wyndham Hotel Group (WHG) not only knows this, but is strategically and confidently securing its spot as a midscale player. Perhaps, one could argue, the midscale player. 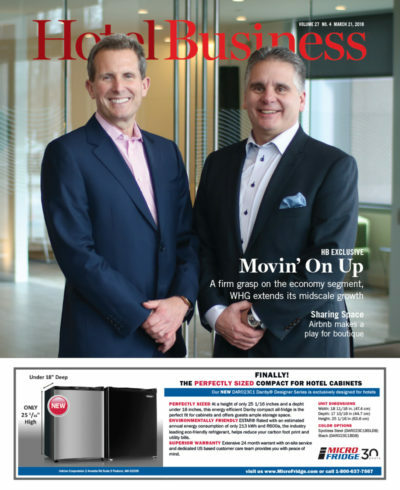 When Hotel Business named Geoff Ballotti, president/CEO of WHG, one of its “10 to Watch” at the end of 2017 (see the December 15th edition), he had just been through a particularly busy year—and one that made the headlines of not only our industry, but the business world at large. In August of last year, Stephen Holmes, chairman/CEO of Wyndham Worldwide, announced Wyndham Worldwide would spin off the company’s hotel business resulting in two companies: WHG, with its headquarters in Parsippany, NJ, would become a new, publicly traded, pure-play hotel company, and Wyndham Vacation Ownership, with its headquarters in Orlando, FL, would become the world’s largest publicly traded timeshare company, joining with Wyndham Destination Network, home to RCI, the world’s leader in timeshare exchange. At that time, the corporate names of the post-spin companies had not been decided—and, as of press time, we’re still waiting for the announcement, which is expected soon, as is the close of the transaction, which is on track for completion at the end of Q2. The idea behind the separation agreement, so to speak, was, in part, designed to allow each company, post spin, to maintain a sharper focus on its core business and growth opportunities and respond to developments in its respective markets. 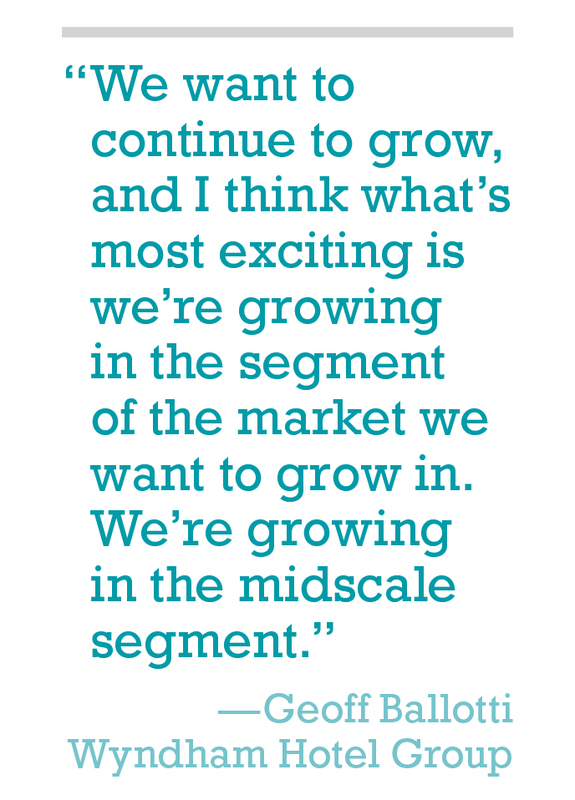 And with significant scale and a robust portfolio of solid brands already part of WHG’s DNA, the strategic initiative is letting them continue to do what they do best: Grow. With Ballotti at the helm of the hotel business, his goal is to continue advancing the company’s leadership in the economy and midscale hotel segments, while growing the company’s upscale portfolio and management business. He wants to be bigger. Just ask him. 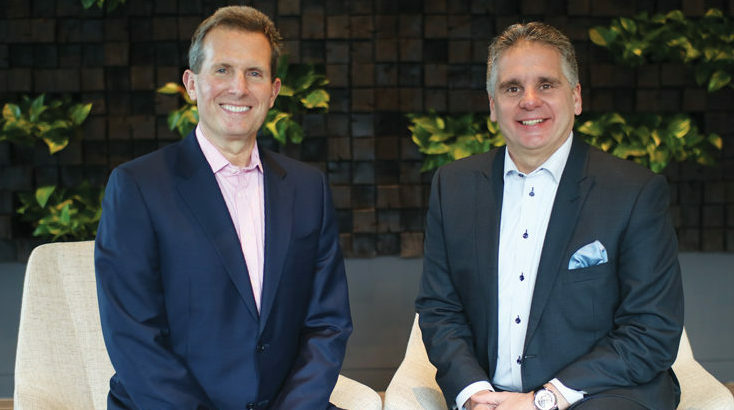 Hotel Business did when we sat down with him and EVP/Chief Development Officer Chip Ohlsson, at the company’s headquarters in New Jersey, on what happened to be the day of Wyndham Worldwide’s earnings call. Everybody has always known WHG as a leader in the economy—or, as WHG likes to term it, value—space. The company has four of the top five hotels ranked in the J.D. Power North America Hotel Guest Satisfaction Index Study: Microtel Inn & Suites by Wyndham, Days Inn, Howard Johnson and Super 8. 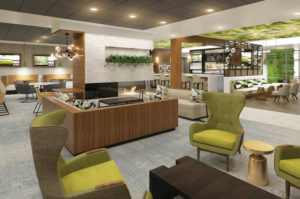 But with the recent plan to acquire La Quinta’s hotel franchise and management business—announced in January—the NJ-based company will have four of the five top midscale brands, too. And that’s nothing to take too lightly. In fact, it’s “incredible,” as Ballotti told Hotel Business. With the acquisition of AmericInn completed in October 2017, and now La Quinta, as well as the company’s Baymont Inn & Suites and Wingate by Wyndham—which, has been number one for three years running—WHG’s midscale presence is stronger than ever. 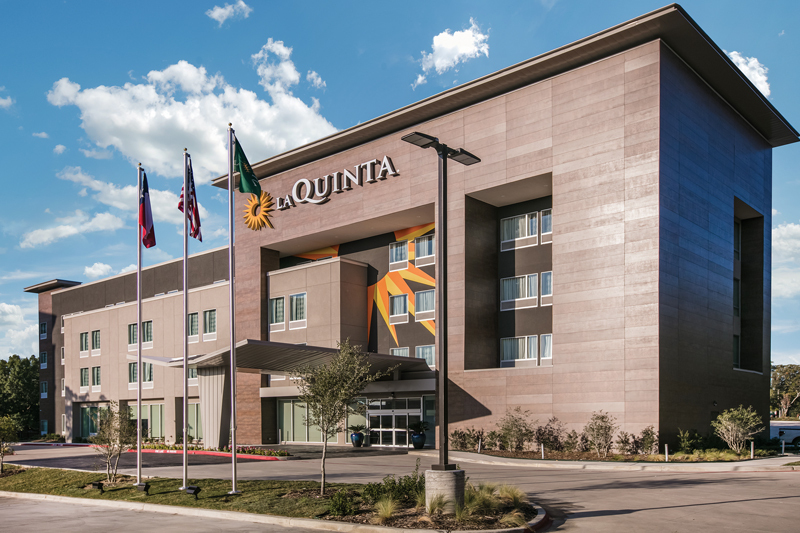 On the acquisitions side, La Quinta adds 892 managed and franchised hotels and AmericInn added 202 hotels to Wyndham’s portfolio—and moreover, they build upon WHG’s strong midscale presence and expand its reach further into the fast-growing upper-midscale segment. “After the La Quinta acquisition, we’ll have 40% of the rooms in the midmarket space under the Wyndham flag,” said Ohlsson. What the two brands had in common and what made them so attractive to WHG was they “fit a purpose,” said Ballotti. “They were very high quality, very consistent, and 85% of AmericInn hotels are four stars and above on TripAdvisor. They are brands we knew, Chip knew, his team knew and franchise sales team knew. And our new-construction team also knew both could grow from a new-build standpoint and a conversion standpoint. But every acquisition has to be a symbiotic relationship. What does WHG bring to the table? It brings scale and all of the associated benefits. What does the intended purchase bring to WHG? How does Wyndham avoid brand blur—avoid overlap with what it already does? Like any other relationship, it needs to feel right, be the right fit. “If it’s not complementary to what we do, why do it?” said Ohlsson. 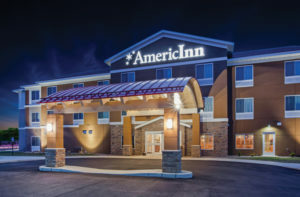 Fitting their purpose, the $170-million acquisition of the AmericInn brand and its hotel management company boosted the hospitality giant’s footprint and strengthened its position as a midscale segment leader. The brand addition expanded the company’s North American portfolio by roughly 12,000 rooms and, maybe more significantly, takes the Midwestern name to the big stage, giving it national play. And the owners, beyond growth and recognition, will have access to the sales, marketing and distribution channels. Guests will have access to the award-winning Wyndham Rewards program. 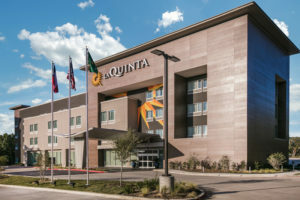 And back to the more recent planned $1.95-billion-cash purchase of La Quinta—its owned real estate assets to be spun off into a publicly traded REIT, CorePoint Lodging—the deal will result in Wyndham having some 9,200 locations and 807,000-plus rooms across more than 75 countries, making it the largest hotel company in the world by number of hotels and third largest by rooms. La Quinta will marry its rewards program of 13 million members with that of Wyndham’s, which has 55 million enrolled members. That all being said, WHG recognizes there still needs to be a balance and will still deal with a lot of third-party management companies going forward. “Again, our size and the scale that we have allows us to open doors in a lot of different aspects of third-party management, so we’ll continue to do that also,” Ohlsson said. Another benefit is the cross selling and revenue opportunities WHG can provide. “Think about somebody looking on our website who has a budget for a $100 average rate hotel and they’re looking for a more upscale experience in a market where today we only have economy hotels. We can now cross sell those opportunities on our website, call centers, all of our social media channels and present tremendous revenue opportunities in the midscale space because of our size,” Ballotti said. Ballotti told Hotel Business, “Not a day goes by where I don’t spend time on the phone with franchisees of La Quinta. And Chip is right: I would say two-thirds of them—probably higher—began their ownership with Days Inn and still own Days Inns. 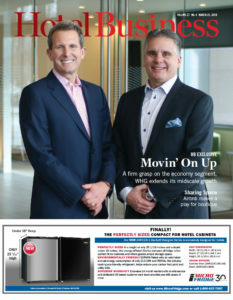 The pride in that brand and the awareness of that brand—it is nostalgic to most people in the industry.” The CEO was quick to recall and remind us that AAHOA was founded in the offices of Days Inn with Henry Silverman back in 1989. WHG has built some new prototypes for the economy and midscale brands that are growing the fastest, and ones which Ohlsson is having the most success with out in the market (Wyndham Garden, Hawthorne Suites by Wyndham, Microtel Inn & Suites by Wyndham, Wingate by Wyndham). “They’re new and fresh,” said Ballotti.